For a CRM to really work in helping a business grow their sales, the whole team has to be on board. Here are some best practices for on boarding your sales reps to ensure an effective adoption of a CRM. Changing up a routine is never easy, so asking a sales rep to adopt different processes will require focusing on how they will benefit. Focus shouldn’t be on how CRM adoption will help grow your business. Instead, focus on how using a CRM will help grow your rep’s pipeline and commissions. Tip: Have the team watch tutorial videos together and have them document any questions they have throughout. That way, you can bring those questions to the Method team to address. Winning business over your competitors can often be as simple as being the first one to get back to the lead with an estimate. In Method:CRM, sales reps can create and send out estimates, allowing them to promptly get back to new leads, instead of waiting for someone else to create estimates in QuickBooks. Your sales reps can also close deals quickly when the lead is ready. All the information and transactions related to a sales opportunity are centralized and easy to find in Method:CRM. 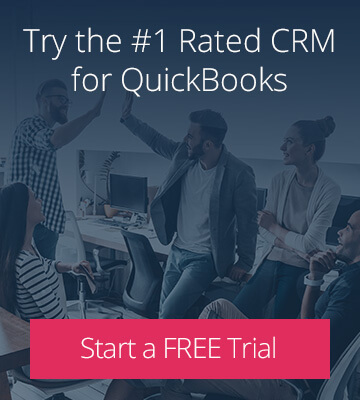 Without going into QuickBooks, your sales reps can see the contacts, activities, estimates, sales orders, and invoices associated to an opportunity. Gone are the days of tracking down information needed when a lead calls in, ready to go ahead with the deal. 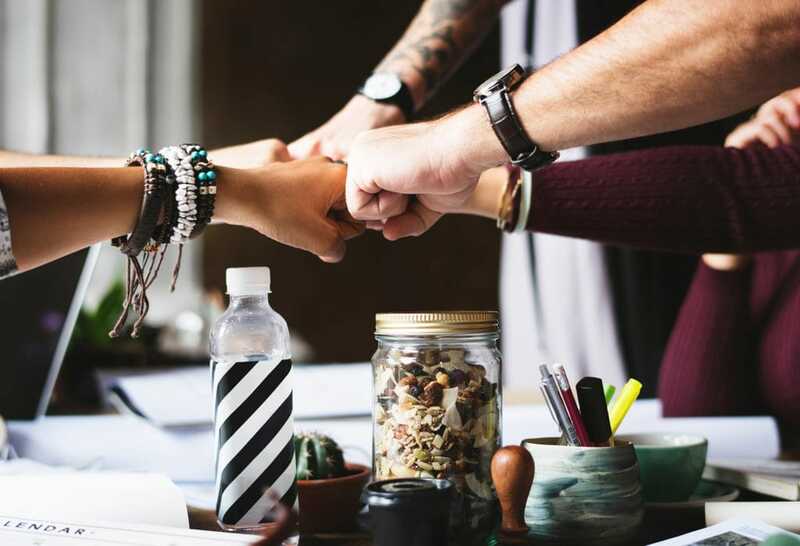 The best leads are ones in your customer database because they’re familiar with your products/ services and they have a rapport with your team. Knowing they won’t have to work as hard to close a deal with a CRM will definitely peak the interests of your sales reps. 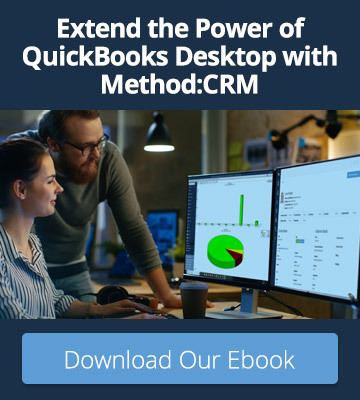 In Method:CRM your sales reps can review customer invoices, synced over from QuickBooks, to see the last time a customer purchased from them and decide if it’s a good time to reach out to get additional business. And if it isn’t the right time to connect with their customer, they can simply create an Activity that will remind them to follow-up at the appropriate time. Let’s say your sales reps collect new leads from attending an event. When they return from the event they’re eager to send follow-up emails to keep the leads hot, but what if they collected 200 leads?! They want to have some personalization in the email, but writing individual emails is not an efficient use of their time. Not to worry — in Method:CRM they can create email templates for commonly sent customer communications, such as an intro email to a new lead. Or, to further streamline their lead communications, your reps can quickly create and send out mass emails to filtered lists through Method’s Email Campaigns app. If your sales reps visit leads outside of the office or spend a lot of time on the road, they’ll appreciate that Method:CRM is cloud-based and designed with for mobile devices. No more taking notes on paper and entering information into a system when back in the office. Your reps can keep the database updated in real-time during their meeting or when they’re back in their car. And, as I mentioned earlier, speedy follow-ups are part of winning business over your competitors. After a visit with a potential customer, your reps can send off an estimate before they even head back to the office and schedule a follow-up so they’re sure to close the deal.